The contract staffing back-office‘s annual blog article predicts the top trends in contracting and recruiting. The article is written by the company’s President Debbie Fledderjohann. We are seeing more companies building blended workforces that include BOTH contractors and direct hires. The new year should be a good one for recruiters, but those who offer contract staffing services stand the best chance for success in 2014, according to Top Echelon Contracting’s annual predictions, recently published on their Contract Staffing Blog. As a contract staffing back-office service, Top Echelon Contracting (TEC) has been analyzing industry trends for nearly 22 years. The company established a tradition several years ago of offering contracting and recruiting predictions on its blog at the beginning of each year. The article is written annually by TEC President Debbie Fledderjohann based on the company’s statistics, conversations with recruiters, and research conducted by Fledderjoahnn and her staff. 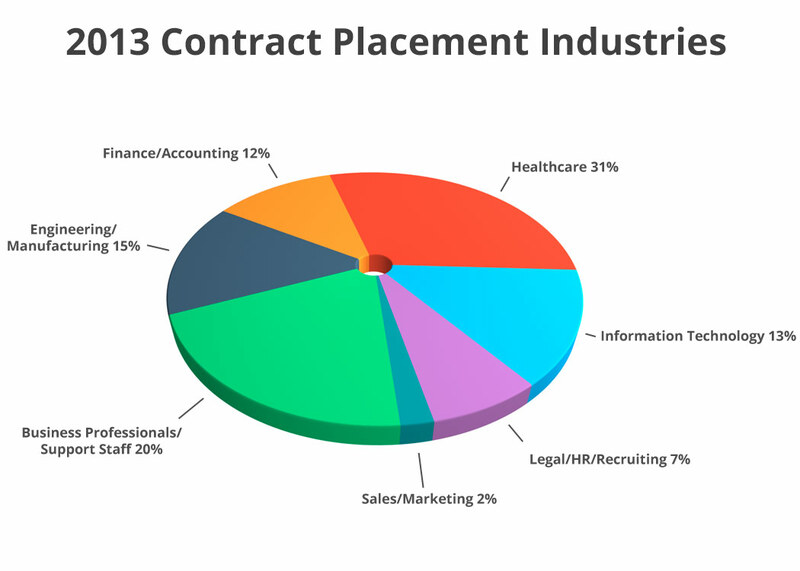 Coming off a record-breaking year in 2013, contract staffing will continue to be a big factor in hiring in 2014, according to the article. Continued political instability and the upcoming employer mandate of the healthcare reform law known as the Affordable Care Act (ACA) will continue to drive the contract staffing trend and will affect overall hiring, as well, the article states. TEC expects contract staffing growth and hiring in general to be particularly strong in the popular STEM (Science, Technology, Engineering, and Math) area. Finally, Fledderjohann predicts that government scrutiny on worker misclassification is a trend that is not going away and will impact employers and recruiters more than ever in 2014. “The stakes keep getting higher as the Department of Labor and a number of states have agreed to work with the IRS to enforce proper worker classification,” Fledderjohann wrote. As President of Top Echelon Contracting, Fledderjohann has been helping recruiters add contract staffing to their business models for over 20 years. In addition to the Contract Staffing Blog, she also writes a contract staffing newsletter titled Contracting Corner that is mailed out to over 12,000 recruiters nationwide. She also writes about contracting for several respected industry publications, including The Fordyce Letter and Staffing Stream. Fledderjohann is an industry trainer, having presented conferences across the United States, including NAPS and CSP. About Top Echelon Contracting: Top Echelon Contracting was established in 1992 to help recruiters offer contract staffing services. By becoming the W-2 employer of the contractors, TEC assumes all the financial, administrative, and legal responsibilities, including employee paperwork, legal contracts, timesheet collection, payroll processing and funding, tax withholding, benefits, Workers’ Compensation, invoicing, collection of accounts receivables, background checks, etc. Based in Canton, Ohio, TEC does business in 49 states, specializing in technical, professional, and healthcare contract placements.